The Patidar leader questioned Supreme Court’s decision to reject Congress’ plea, seeking cross-verification of VVPATs with votes cast with EVMs. 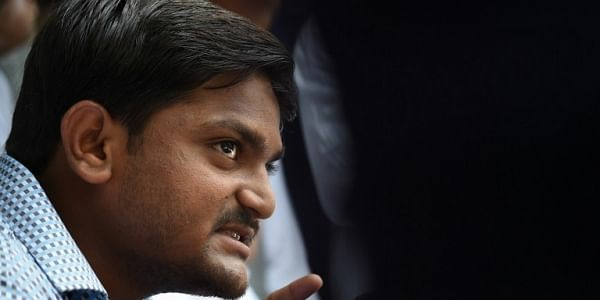 AHMEDABAD: Patidar leader Hardik Patel on Saturday questioned Supreme Court’s decision to reject Congress’ plea, seeking cross-verification of Voter-Verified Paper Audit Trails with votes cast with Electronic Voting Machines and asked why they were used in the Gujarat elections. “Why are VVPATs used in the first place? It is used for smooth counting of votes wherever there is a fault. I do not understand Supreme Court's stand on the issue,” the Patidar Anamat Andolan Samiti (PAAS) convener told ANI. He also said if EVMs were not tampered with then the exit polls’ results, which showed Bharatiya Janata Party’s victory in the state polls, would be proven wrong. “I think exit polls’ results will be proven wrong. If EVMs do not malfunction then BJP will lose the election. I have a 100 percent doubt on EVMs,” he said. Patel’s statement comes a day after the apex court dismissed the Congress' plea seeking directions to the Election Commission (EC) to count and cross verify at least 25 percent of VVPAT with votes cast with EVM. Yesterday, the apex court said it found no merit in Congress' plea and asked that the Gujarat Congress could approach it through filing a writ petition for electoral reforms. It further maintained that electoral process in a democracy was of utmost importance and the Supreme Court cannot interfere only to allay apprehension of a party. The voting for the two-phase Gujarat Assembly election ended on Thursday and counting of votes will be held on December 18.